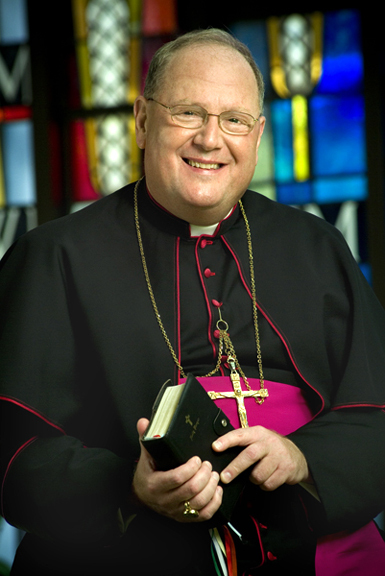 Archbishop Dolan's message about confession the other day was a fine example of simple pastoral care for his people. Early in the morning, I walk down the Janiculum Hill – where I stay at the North American College – to Saint Peter’s Basilica, there to go to confession and then to celebrate Mass. Two powerful sacraments, Eucharist and Reconciliation, constants of our spiritual life, at the heart of the church, near the tomb of Saint Peter. I don’t want you to think that I only approach confession when I’m in Rome! At home with you in New York I try to go every two weeks, because I need it. But it does have a special urgency and meaning here in Rome. Near the tomb of Saint Peter, I can hear Jesus ask Him three times: “Simon, do you love me?” and then examine my conscience to see how I have failed to love the Lord and take care of his sheep. Near his tomb, I picture myself, like Saint Peter, doubting Jesus and sinking in the waters of the storm. Adjacent to his burial place, I even admit that, like Peter, I have, in my thoughts, words, and actions, denied Jesus. So my contrition is strong, my purpose of amendment firm, and I approach one of the Franciscans for confession in the corner of the massive basilica. Then I say my penance before the tomb of Peter, under the high altar, and go to vest for the greatest prayer of all, the Holy Sacrifice of the Mass. And then I go for pasta…. Lent begins next Wednesday. I’ll be back to start it with you. Sometime over those forty days leading up to Easter, take a cue from your archbishop: get back to confession! My love, prayers, and best wishes from Rome. This really struck a chord with me. When I go to Rome, I go into St Peter's early and go to confession before celebrating my first Mass in the basilica. There is something special about celebrating the sacrament of penance there. Another advantage is that if you go to confession, then say Mass (or simply receive Holy Communion if you are a layman) you can go straight to the tomb of St Peter and gain the plenary indulgence. Archbishop Dolan spoke this morning to the Holy Father and the College of Cardinals. Here is a link to the full text of his address. I have fired it over to my Kindle to read before I go to bed. I am very glad that he is being made a Cardinal tomorrow. Looking forward to speaking to "Call to Youth"
"The Church right on birth control"